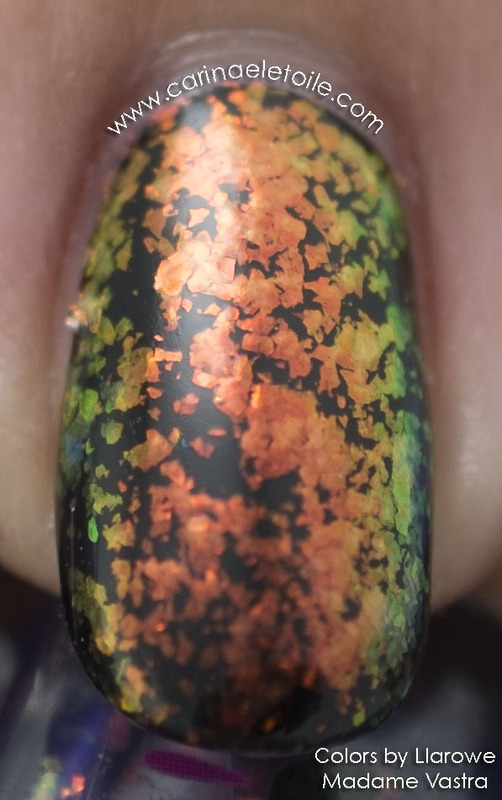 I’m a huge fan of chameleon like polishes and glitter. 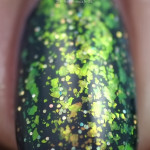 Colors by Llarowe Donna is no exception. 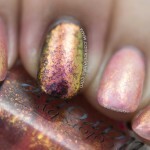 This is another polish from the Dr Who inspired collection put out by Llarowe. In the Dr Who universe, Donna is Donna Noble, who is portrayed by Catherine Tate. To find out more about Donna, read through the wiki page here. Colors by Llarowe Donna is described on the website as “Green/gold/purple/pink multi chrome sheer based blue to green flake. 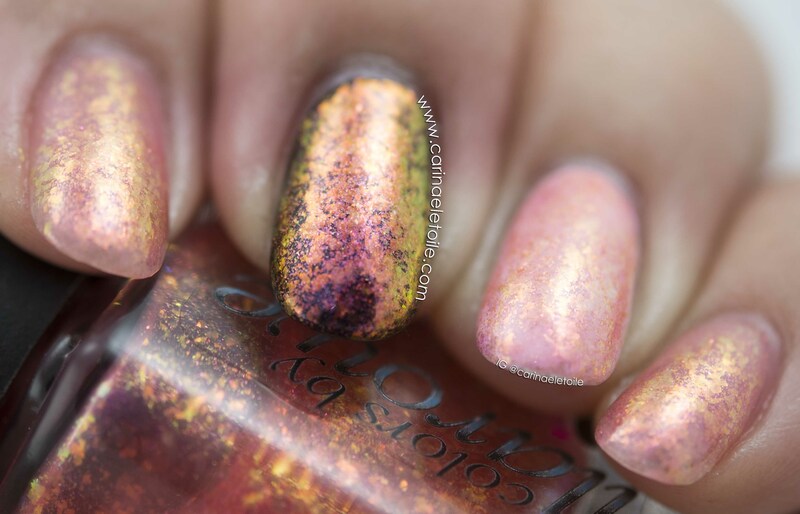 Can be built to opacity in 3-4 coats for a completely different look.” I think this polish has a lot more going on than what the description says. 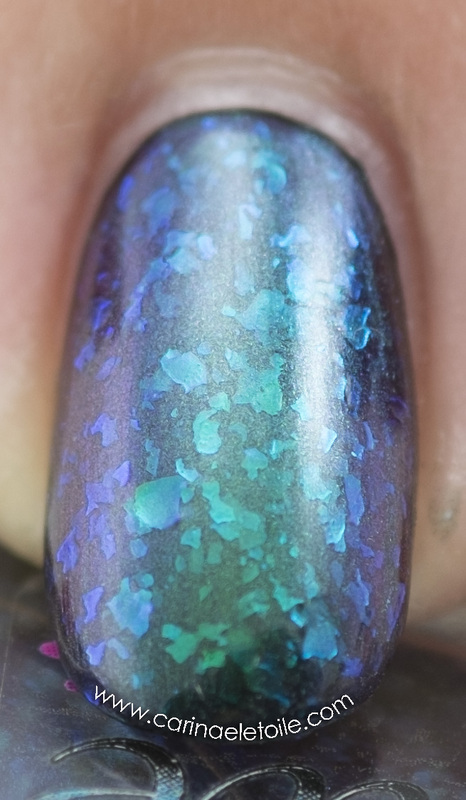 The bonus (aside from the overall beauty of the polish) is that it dries quickly. I do mean quickly. It dries in under five minutes and layers quite well. For me, the base looked like it had a charcoal tint. What do you think? 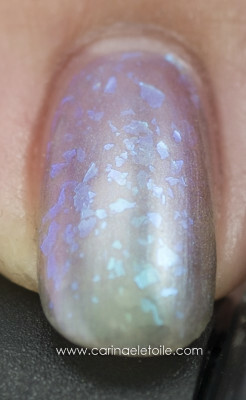 Just a note: I layered this over Sephora X Dark Matter. On to the photos. Please note – you can click on the image which will take you to a bigger version of the same image, but you can click that and it will become its original size. All big and scary! 🙂 Feel free to click to see the power of a macro shot. Doesn’t the base look a bit more charcoal in here? 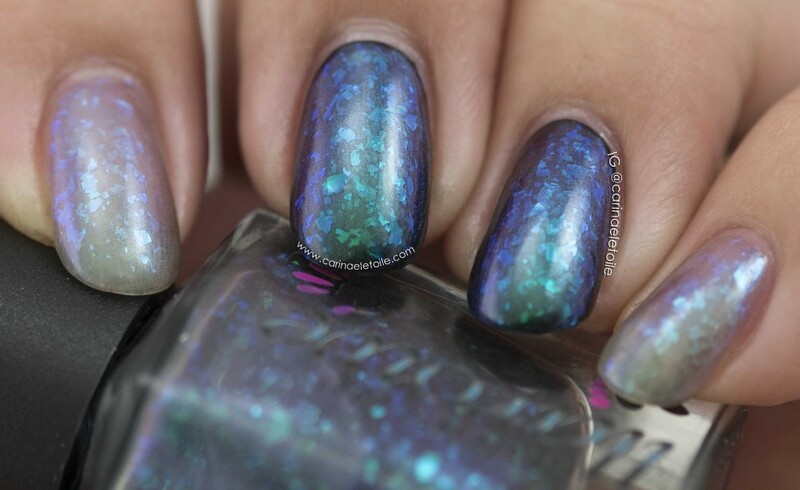 I love the color combo – it reminds me of one of my favorite gemstones, labadorite. 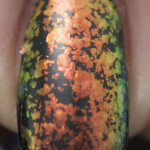 Now that you’ve seen this in all its glory, do you feel it’s a color/flakey you need in your collection? Thanks for making it this far and thanks for stopping by. Well after looking at this and Face of Boe, I don’t know which one I like better. Both are gorgeous in their own right.